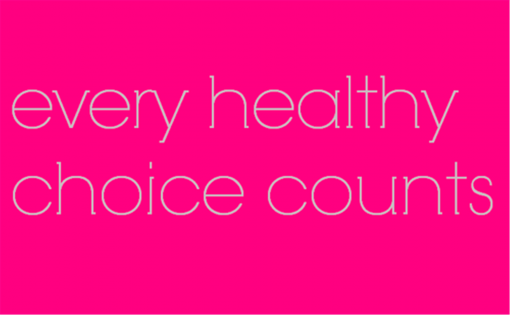 August Colourful Smoothie Challenge was posted on July 29th, 2013 and is filed under Giveaway. This entry has 69 comments. You can follow any responses through the RSS 2.0 Comment Feed. Oh my word! People…this is one special post! Last year I hosted a challenge called the Colourful Smoothie Challenge and it was such a smashing success – OF COURSE I’m doing it again this year! Around 50 people signed up for it and this year, I hope even more of you will! This is totally going to be annual thing! In case you didn’t remember from last year, here’s what’s happening! Don’t you want to enjoy a colourful smoothie like this every day?! But that’s not all, because there are prizes! Really REALLY amazing ones! It’s the biggest contest/giveaway I’ve ever had at Colourful Palate – some AMAZING companies chimed in and said they wanted to be a part of it and I’m beyond EXCITED! Guess what’s happening for the first prize ($555 value!)? 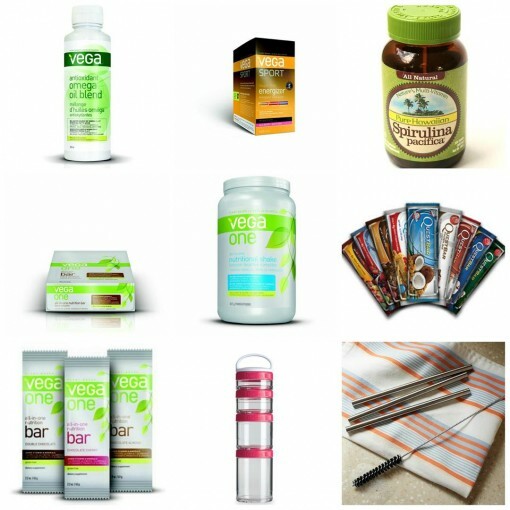 Vega is giving away a large tub of Vega One French Vanilla, a bottle of Antioxidant Oil, a box of Vega One bars, and a box of Vega Sport Energizers (reviews coming later!). Woah. Not only that…there’s more! The lovely people at BlenderBottle are giving away their new GoStak containers (LOVE! )…AND the amazing Quest folks (REVIEW coming people!) are giving away a box of their bars…AND my favourite spirulina people at Nutrex are giving away a bottle of spirulina! AND THEN Maine Drinking Straws are giving away 2 stainless steel straws (with a brush) too! WHAAAAAAT!!! And that, my friends is first prize (also pictured below)! For second prize ($333 value! ), Vega is giving away a large tub of Vega One French Vanilla, “Whole Foods to Thrive” book, and a large tub of Vega Sport Vanilla. Then Maine Drinking Straws is giving away a couple more straws (with a brush). Seriously people. For third prize (this alone is over $90 value! ), there will be 2 GoStak containers from BlenderBottle, a box of Quest bars, and a bottle of spirulina! Can you see why I’m SO excited! You’ll be hearing more from the sponsors later too (yay!!) as this month will be full of smoothie fun, recipes, and dazzling COLOUR! We are so going to rock getting extra healthy! 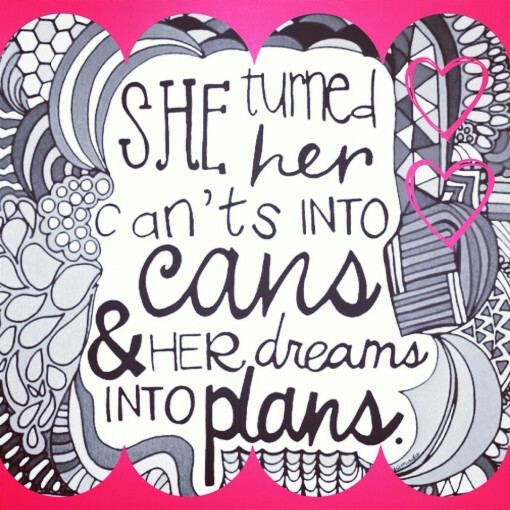 I hope you can set some goals (sharing mine soon!) for this month and totally BLAST August out of the water!! Make sure to comment below and let me know if you’re planning on joining the challenge! I will be making spreadsheets so I can keep tabs on everyone’s scores! BASICALLY – just tweet me photos of your smoothies! It’s SO EASY! 5 points for having a smoothie EVERY DAY for the month of August! Mmm…smoothies! You can use Instagram to make up your pictures (if you want), but they don’t count as points unless you push them to twitter with the appropiate hashtag #colourfulsmoothie). I use good ‘ole Instagram for smoothie photos ALL the time (quite obviously). The challenge will be over on August 31st – and the winners will be announced on the 2nd of September. The weekly prizes will be announced throughout the challenge. It’s open to US and Canada. SO are you up for the challenge? What are you goals for this month? I can’t wait to start and do it with you all! Wow! You’ve got me excited about this challenge (and I came planning just to share!)! I’ll be traveling for a few days in August, but I’m determined to do the challenge. I currently use Vega’s Vanilla Almondilla Energizing Smoothie. Love their stuff, so I really wanna win this! Sounds awesome! I am in for the challenge. I had so much fun with that challenge last year. Too bad we are talking our vacation in August. I try to limit my time on the Internet, Twitter, etc., when I’m on vacation, so I doubt I’d get a chance to tweet everyday. It would be greedy of me anyway, after already winning last year. Good luck to all the participants this time. I might have to tweet a few smoothies when I get a chance. YUM! I drink a smoothie everyday, so I’ll try to join in when I remember! What a great idea! I’m usually not good with sticking with challenges but I will try ONE smoothie a day. Can we Instagram (using the hash tag) pictures of our smoothies or will you only accept twitter entries? Either way I’m excited, I want to win the Vega One powder…love that stuff! I am SO excited about taking on this challenge! I’m starting a new job tomorrow and thought smoothies would be the perfect breakfast to start on the go. I just bought some plant based protein powder with spirulina to try, and can’t wait to try out your recipes as well! GREAT! i am in it! I’ve been participating in your Colourful Photo A Day Challenge and it’s been SOOOO much fun. I will definitely participate in the smoothie challenge, especially since the prizes are AMAZING! Mmmm love me some spirulina! Sooo Awesome! And such incredible prizes!!!! I am so excited! Thank you so much for posting this AMAZING contest – I can hardly wait for the month of August to commence! I’m headed on vacation but this will definitely motivate me to keep my healthy eating in tact and get in all my vitamins through smoothies! Hooray – I am also thrilled to receive more of your smoothie recipes and try them out for myself – I’m always drooling over your Instagram photos! Ill definitely be participating! Oh I meant to ask, is there a limit to one smoothie a day? Molly – Oh no, no limit! You can tweet me twice a day if you have two smoothies! :) Bring on the smoothie love! Oh how I love you! I juice almost daily. I can’t do smoothies right now, can I still play?! Sarah – YES! Juices are a fabulous too! Ok cool. So based on the reply to Sarah…I will send pics to twitter of juices and smoothies. Hopefully this will maximize my point potential. Does this start Thursday? hahah, this will be an easy challenge, as I have smoothies every day already. The hard part will be to do the various duties. But I shall do my best. I would love to win the spirulina for sure. I did the challenge last year but wasn’t able to finish it – boooo! Hoping to finish strong this year!! This was so fun last year! I’m not a big smoothie drinker but funny thing, I just bought ingredients for smoothies yesterday because I was feeling it. Maybe I just knew you were having your challenge again? Of course I’m in! I’m in! I’ve been on a smoothie craze lately so this is right up my alley. Love this challenge! I just learned about your challenge and would love to join in please! Looking forward to a fantastic August! 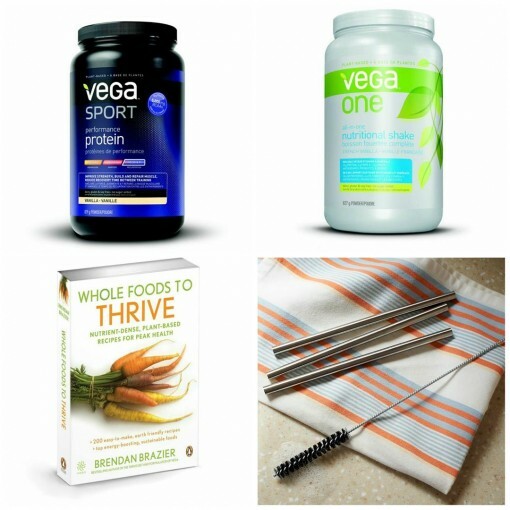 I have a definite smoothie addiction and I love Vega products, so I’m totally in! I think I need to set up a twitter account , you are the reason I set up a Instagram last year but did not start using it until earlier this year. Had fun w/this last one and can’t wait for this smoothie one. Not sure how committed I am but I will participate. I’m going to try this challenge! Not sure if you already answered this, but can you mention the challenge on twitter and/or your blog only once or multiple times? Thanks! Love this challenge! Can’t wait to try it! Is it too late to join in?? It looks super fun!